Flavoring – it gives a smoky taste to dishes. Thickener – its thick consistency works as a thickener. Browning – its color makes it suitable as a browning sauce. Caramelizing – it works in caramelizing the outside part of meats. I really don’t know why you’re searching for a Kitchen Bouquet (KB) substitute. I really think it’s worth buying it and stocking up on it because it has a lot of uses. And since it’s used sparingly, a small bottle will last for a long time. So, really, I would suggest using it instead of a substitute (especially in recipes that particularly call for it). Now, if your reason for looking for a Kitchen Bouquet substitute is that you can’t find it anywhere, I have the solution for you right in this article. Hey, there are 11 Kitchen Bouquet substitutes in this post – and you can choose the most suitable product for your needs. 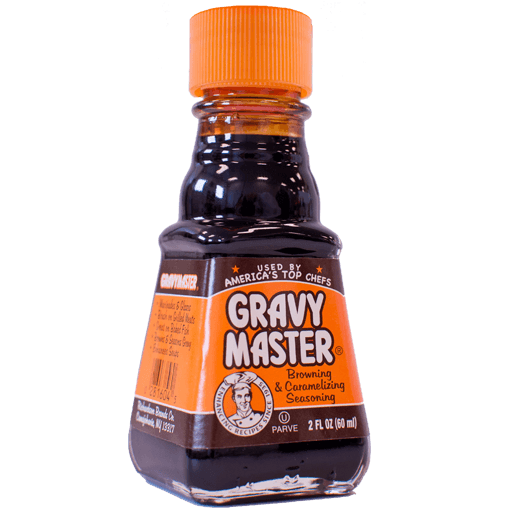 Gravy Master (Amazon) is one of the most popular substitute for Kitchen Bouquet. It comes with caramelizing characteristics (like KB) that can also thicken up sauces. Its browning color also makes it very similar to KB. Like Kitchen Bouquet, Gravy Master also uses all-natural ingredients – making it a healthy option when enhancing the taste of your recipes. This seasoning is very flavorful indeed. In fact, a lot of people say that its taste is very similar to Kitchen Bouquet. Still, others say that it’s even more flavorful than KB (and can work as a permanent replacement for KB). 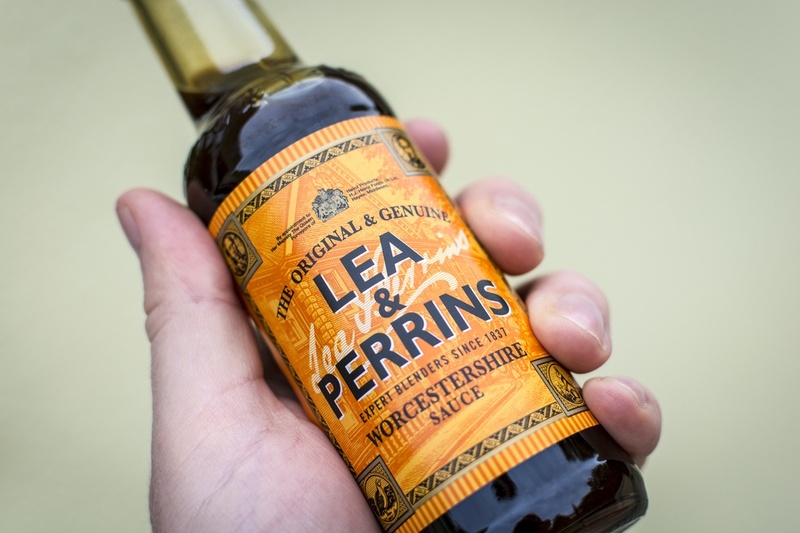 Close up of a male hand holding a bottle of Lea & Perrins Worcestershire Sauce - a popular condiment / cooking ingredient. 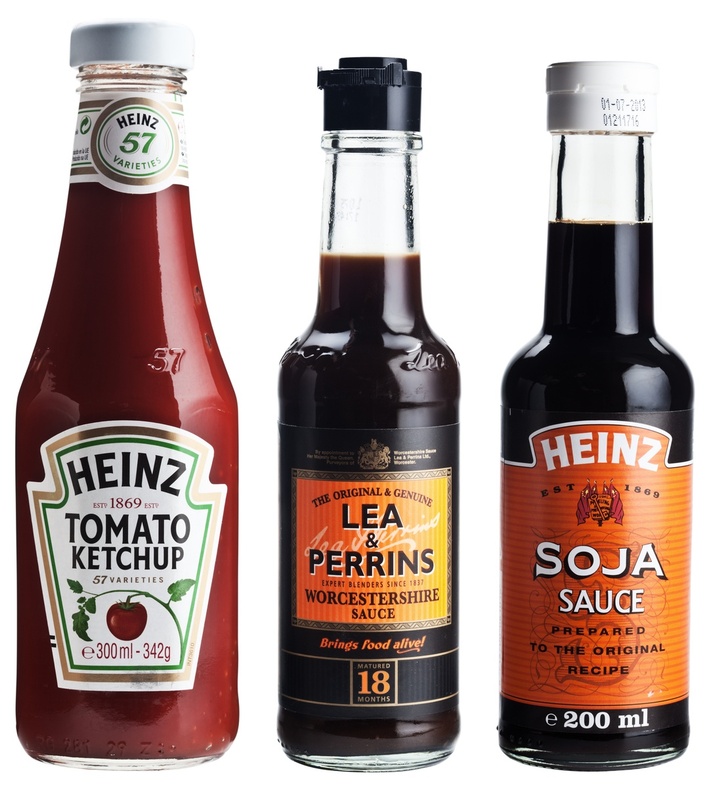 Worcestershire sauce (Amazon) is another type of seasoning that can make dishes more flavorful. Because of its color, it can be used as a browning agent. As a thickening agent, however, this product will not work out well since it comes in a diluted form. What’s really nice about it, though, is that it has a lower sodium content when compared to soy sauce (and Maggi Seasoning). Carrying the name of Braggs (popular for their Apple Cider Vinegar), this Liquid Aminos seasoning is more comparable to soy sauce than to a browning sauce. It’s soy-bean based, but is guaranteed Non-GMO, Gluten free, and Kosher. So, if those are your requirements in a seasoning and browning sauce, you can consider this as a substitute for Kitchen Bouquet. Just remember that it’s not a thickening sauce and like soy sauce, it’s high in sodium. As a seasoning and browning sauce, Maggi seasoning can indeed make your dishes flavorful. However, note that this doesn’t work as a thickening agent. Also, this product has high salt content. Like KB, soy sauce can make sauces turn into a brownish color. But then, it can’t thicken up sauces on its own. As for the taste, it can enhance the taste of dishes by adding saltiness to it. Just be cautious when using soy sauce (too much), since it’s very high in sodium. Mainly made of water and caramel, Parisian Essence makes for a good substitute for Kitchen Bouquet. It’s also Gluten Free, Egg Free, Dairy Free, Soy Free, and Peanut Free – so, if you’re allergic to any of those things, this can be a healthier option for you. Oh, and it’s also Vegan. 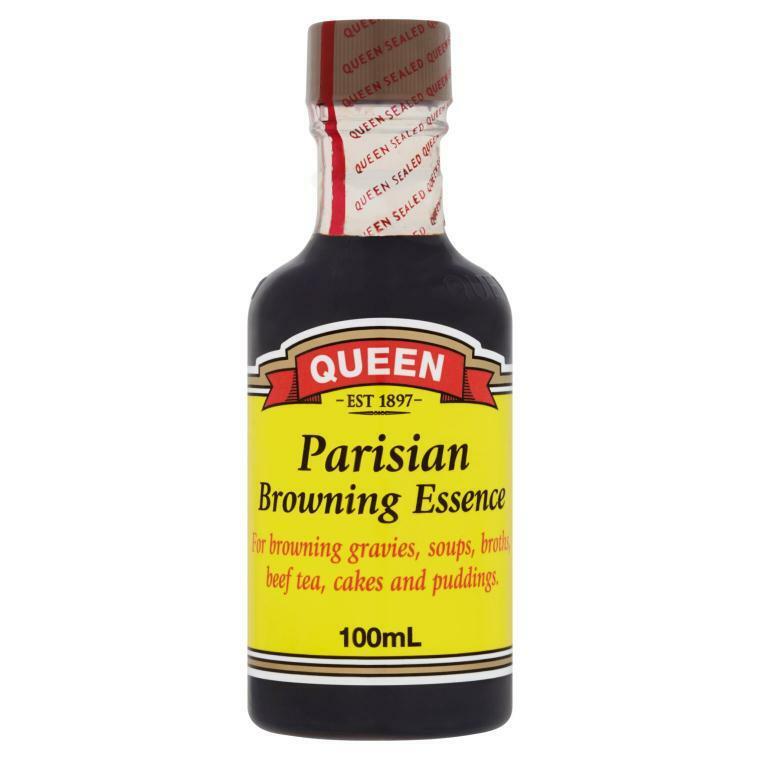 Like Kitchen Bouquet, Parisian essence is a browning and thickening sauce – it is, therefore, suitable for making gravies, puddings, and the like. If you’re using KB just to add color to your dishes, instant coffee can work as a substitute. However, don’t forget that instant coffee carries a strong coffee taste (even in small amounts). Therefore, if you’re just using it as a coloring and not as a flavoring, control the amount of coffee that you put into the dish. Cocoa can substitute for KB if you want a thickening and browning agent in one. However, if you don’t want a chocolatey flavor in your dish, make sure that you use unsweetened cocoa. 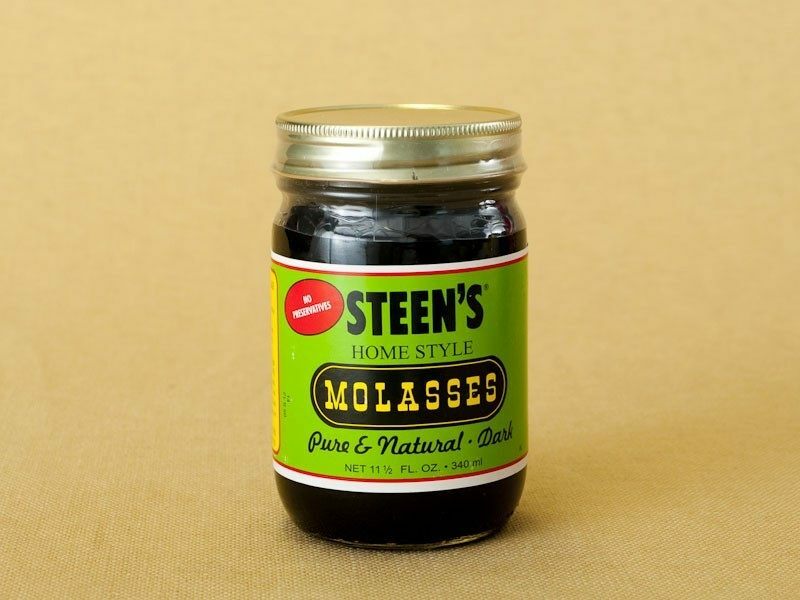 If you’re after the browning effect of Kitchen Bouquet, you can use dark molasses as substitute. Its caramel content is responsible for its browning characteristic and also works as a thickening agent. Indeed, this option truly works as a KB substitute. In fact, if you mix broth and dark molasses together, the resulting mixture will even taste a lot like the real Kitchen Bouquet. Sold in small packets, you can make a mixture of brown gravy (Amazon) for recipes that call for brown sauces. It’s also very flavorful since its made of herbs and spices. Although not as good as homemade gravy, it will work as a Kitchen Bouquet substitute if you just want a browning and thickening agent that’s also flavorful. It’s also easy to prepare as you just need to mix it up with water and simmer for a while. Place brown sugar in a pan and heat it up (5 to 10 minutes). When the sugar is melted, remove the pan from the heat. Add beef broth to the mixture (depending on your desired consistency). Less broth will result in thicker mixture. Return to the source of heat and allow to simmer for a few minutes while stirring. This will allow all the ingredients to fully incorporate and blend well. Use as intended and keep the rest in the refrigerator or freezer. Q: Is Kitchen Bouquet vegan? A: Yes, Kitchen Bouquet is vegan. Its base ingredients include cabbage, carrots, onion, celery, parsnips, turnips, etc. Q: Is Kitchen Bouquet high in sodium? A: No, Kitchen Bouquet is not high in sodium – that’s why it’s considered to be a healthy type of seasoning. Its flavor comes from natural ingredients and a good combination of herbs and spices. Q: Is it necessary to use Kitchen Bouquet in recipes? A: In most cases, Kitchen Bouquet is just an optional ingredient. You can use other seasonings in place of it or you can omit it entirely. Q: Can Worcestershire substitute for KB? A: As a browning sauce, yes. As a flavoring, yes, but it carries a different flavor from Kitchen Bouquet. Q: What can I substitute for browning sauce? 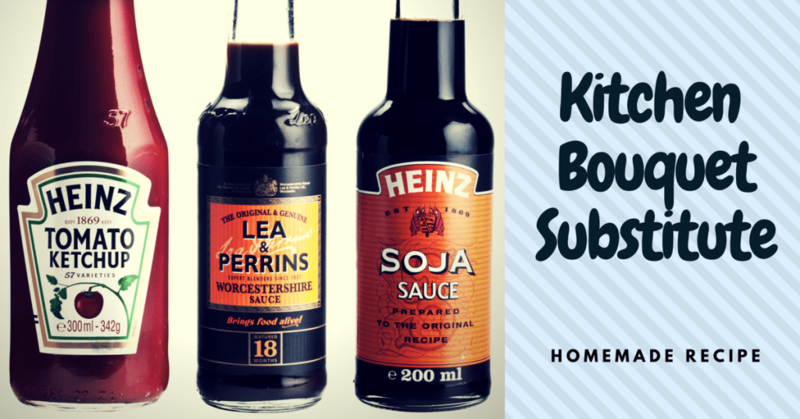 A: I have listed 11 substitutes for KB that you can use as browning sauce. Some of the products in the list are also thickening agents and some are not. You can, therefore, choose the particular product that works for your recipes. Q: What is a healthy alternative to Kitchen Bouquet? A: Kitchen Bouquet is already considered to be a healthy product because it uses natural ingredients (mostly vegetables, herbs and spices) and is low in sodium. However, if you really want a healthier alternative, you can make your own homemade seasoning and browning sauce to replace KB. I have already given you a simple recipe of homemade Kitchen Bouquet-like seasoning in the list of substitutes for KB. I will provide you with 2 more options in this section. Basically, all you need to do is cook all the ingredients in a pan and allow the mixture to simmer for about an hour. The cooked mixture can then be strained through a sieve to get the seasoning and browning sauce. This homemade Kitchen Bouquet recipe can be stored in a jar and kept in the refrigerator. If you’re going to make this homemade browning sauce, you just need to melt brown sugar in a pan and add water to it. It requires constant stirring so as not to burn the sugar – so, you should be up for that. This recipe is similar to Kitchen Bouquet because sugar is caramelized and you can make the mixture thin or thick by controlling the amount of water you put into it (it’s up to you). There’s no doubt about it – dishes turn more flavorful when you add some Kitchen Bouquet seasoning into the dish. In fact, KB can be used in dishes that don’t specifically ask for it. Kitchen Bouquet is a type of seasoning and it can indeed add flavor to food and enhance its taste. Its flavor is quite strong, that’s why it’s only used sparingly. If you’re used to using this type of seasoning in your recipes, I would suggest keeping it in stock all the time. You can also experiment with other seasonings and browning sauces by trying the substitutes included in this article. When substituting for Kitchen Bouquet, however, I recommend going for those products that are made with natural ingredients. I would also be wary of the seasonings and browning agents that are high in sodium and artificial ingredients. I particularly recommend the Gravy Master if you’re specifically looking for a close substitute to Kitchen Bouquet. It’s as flavorful as KB and is also made with natural ingredients. And yes, it’s also low in sodium like Kitchen Bouquet. And of course, I also gave you the option of making your own version of KB-like seasoning. Not only are homemade recipes less expensive, they’re healthier too, as you know the exact ingredients that go into them. Do let me know if you’ve used any of the Kitchen Bouquet substitutes I listed in this post – and if they worked for you. Also, feel free to share this article with your friends. Thanks for the suggestions for homemade kitchen bouquet substitutes. I try to eat only organically and realized last night I was putting non-organic kitchen bouquet into my all organic veggie beef soup. I wasn’t too concerned util I saw the first ingredient was “sulfates”. I figured a healthier alternative would be best next time. I’m going to try the sugar and broth idea. With me luck.